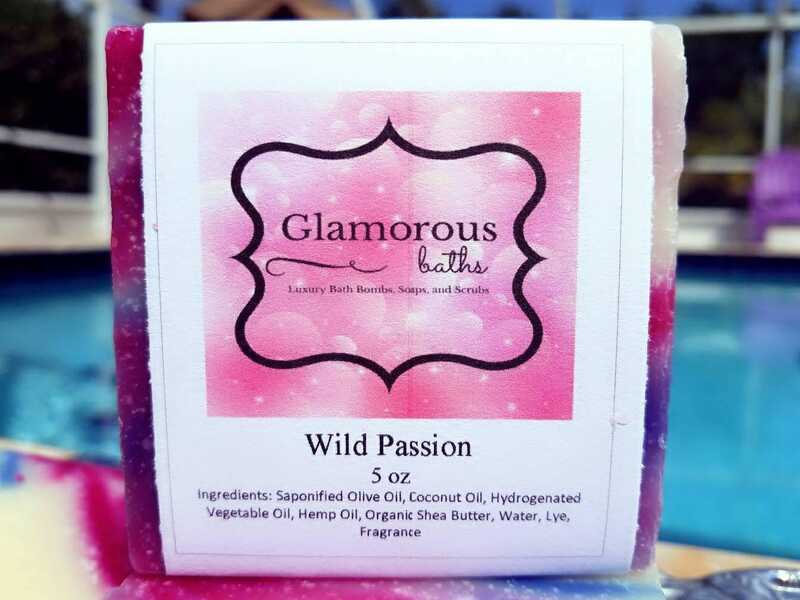 Our 5 oz, Wild Passion, homemade soap is a wonderfully fragrant, floral bath soap comparable to the scent "Love Spell". 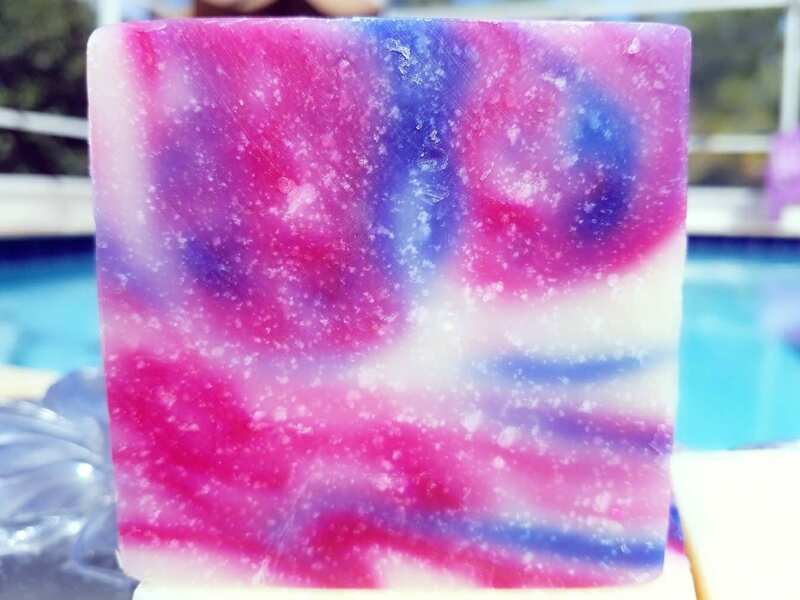 Let the scent take you away every time you step in the bath or shower. 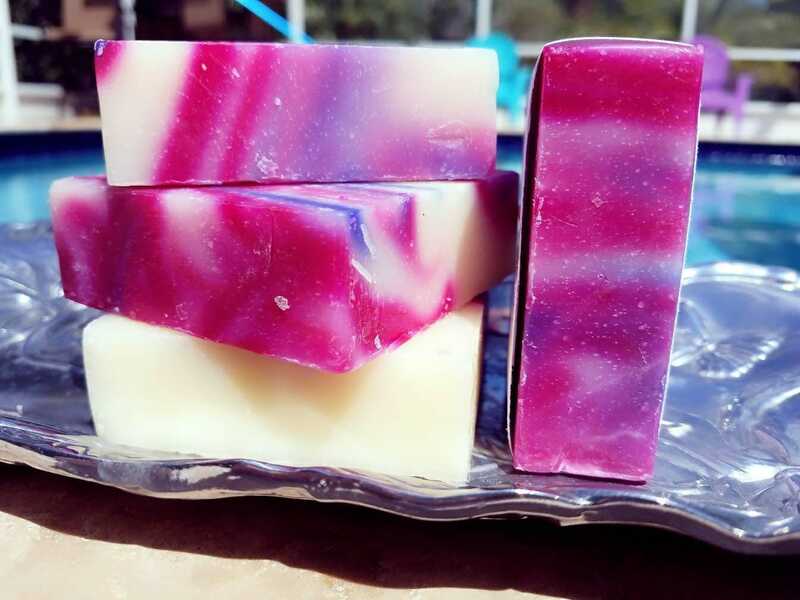 Our soaps, bath bombs, and sugar scrubs are always the perfect gift for her. 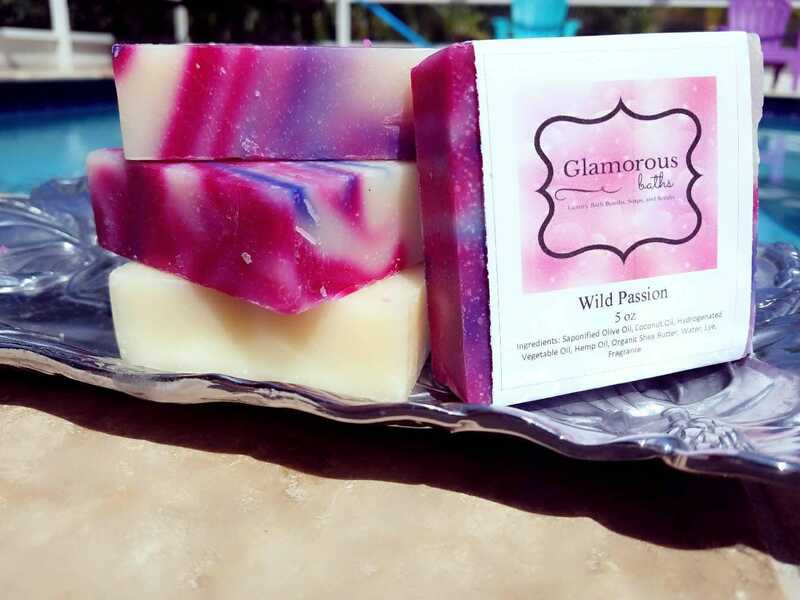 Let the woman in your life pamper herself as she enlightens her senses with our delightfully scented products. * Please note, each bar may be slightly different due to their handmade and hand cut nature.